SPECIALIZED SERVICES IN PREVENTION PROGRAMMING! Iverson Fitness and Wellness, founded by Susan Iverson, was developed out of a growing need for more prevention-based programming in the medical, health, fitness and wellness community. American College of Sports Medicine’s “Exercise is Medicine®” (EIM) Prevention Campaign. EIM was specifically designed to help individuals adopt healthier lifestyles by improving quality of life with physical activity, diet, stress management, and mind/body programming techniques. This initiative is imperative in American Today! More than One-Third (36.5%) of U.S. Adults are Obese. 78% of American’s Do Not meet Basic Activity Level Recommendations.? Heart Disease, Stroke, Type 2 Diabetes and Certain Cancers have been Linked to Obesity. Physical Activity Can Lower the Risk Factors for Disease and Aid in Weight Loss. The Medical Costs for People with Obesity are Approximately $1,500 Higher / Yr. than those of Normal Weight. Childhood Obesity is a Serious and Growing Problem in the U.S. Today. A TEAM APPROACH! Working with allied health care professionals and partnered physician referrals, Susan Iverson offers a team approach for client-centered programming. In addition to her own expertise, Susan consults with other qualified professionals who are knowledgeable in their respective field. She can assist you in pinpointing and articulating pitfalls that have hampered success in the past and foster new avenues for improvement in the future. Susan Iverson holds a Master of Science Degree in Exercise Physiology and a Bachelor of Science Degree in Dietetics. Specialized studies emphasize exercise programming for individuals dealing with health-related concerns: Type II Diabetes, Obesity, Muscle Imbalances, Injury Rehab, Balance Constraints, Back Issues, Syndrome X and the numerous clusters of associated complications linked to this metabolic disorder. 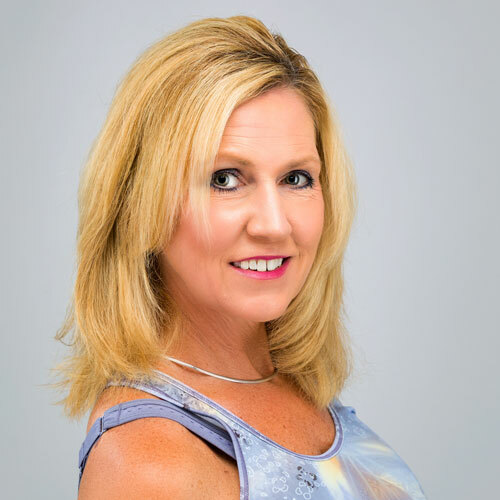 In addition to Personal Training and Wellness Coaching, Susan has conducted educational workshops, instructor seminars and teacher training classes for other fitness professionals in conjunction with guest speaking for various organizations and events. Prior to establishing Iverson Fitness and Wellness, Susan served as a Fitness Specialist and Health Promotion Coordinator for several branches of the U.S. Armed Forces, Langley Aerospace Research Center (NASA) and select corporate sectors. She has a true passion in helping others achieve success! Susan strives to keep individuals empowered, motivated, enthusiastic and in charge of their well-being for life! She is dedicated to compassion, commitment, customer service and respect to further optimize client-centered satisfaction and individual programming objectives!